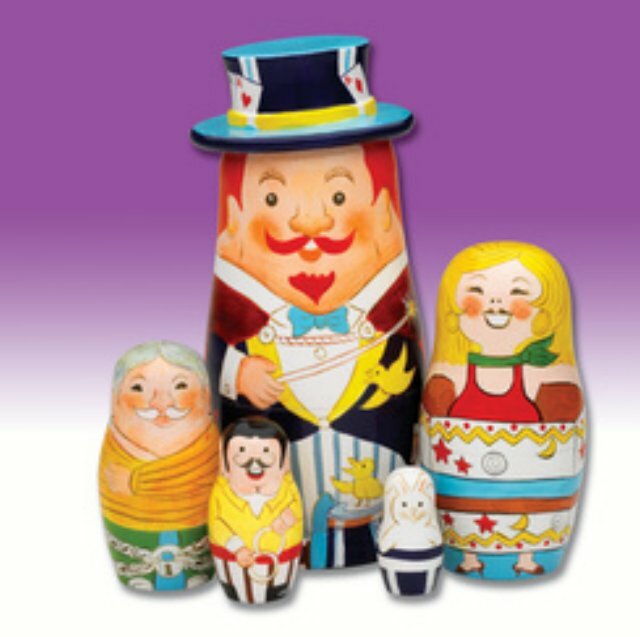 Add a little magic to your life with our whimsical magician and friends wooden nesting doll set. There's the master of illusion in wooden top hat, his lovely assistant, an escape artist, a ring trick expert and even a small bunny popping out of a hat. Magical fun for the whole family by artist Bob Bates. Set contains 5 dolls, largest measuring 6" tall.